The Saint Christopher statue depicts the saint with the Child Jesus on his shoulders. Saint Christopher is the patron saint and protector of travel and his image is often used on objects meant to be carried in an automobile. 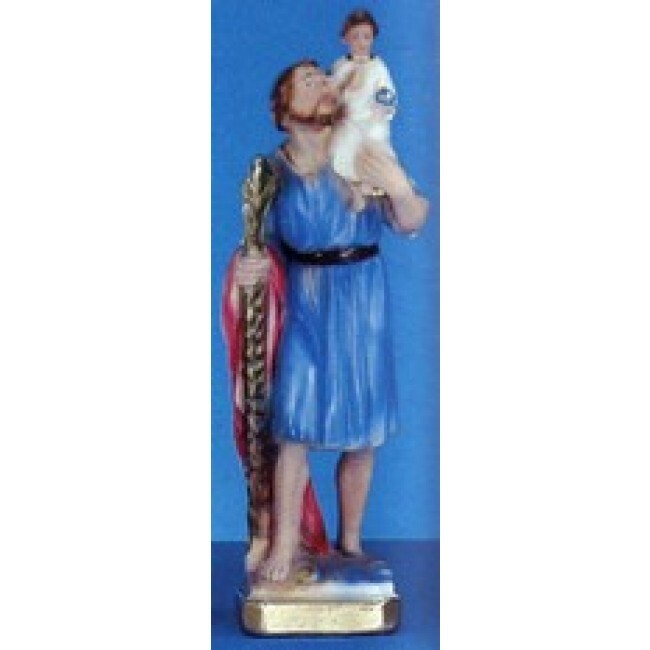 Saint Christopher statues make excellent gifts for those in the travel industry including flight attendants, pilots, chauffeurs and more. The religious statues are rich in color and are beautifully detailed for long lasting beauty. They are hand painted by skilled artisans for accuracy.